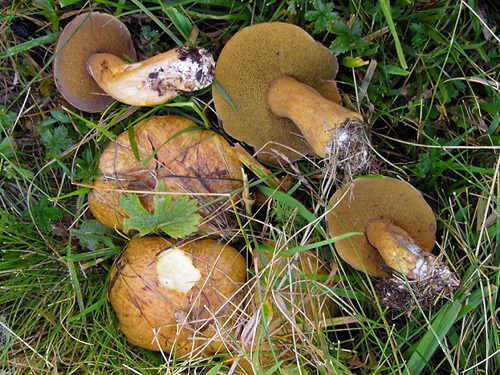 Cap up to 10 cm, at first hemispherical then expanding to convex, dark ochraceous to light or dark brown, dry or viscid. 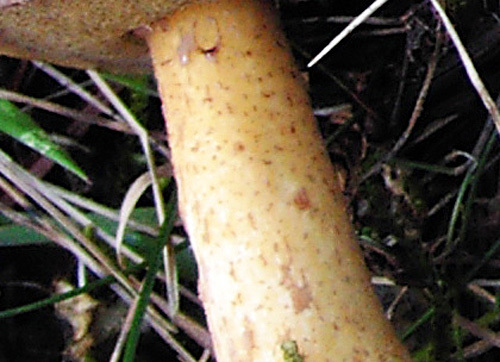 Stipe, cylindrical or slightly swollen at the base, more or less concolorous with the cap, but mostly paler, covered throughout with brownish granuls. 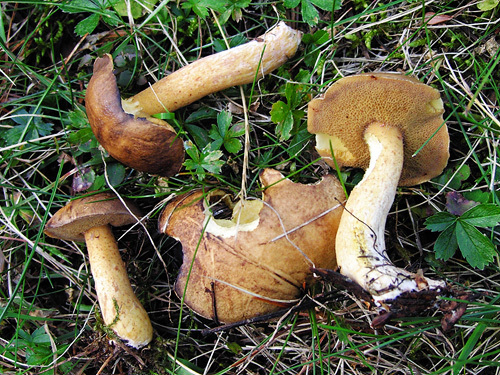 Flesh yellowish to yellow, unchanging when exposed to air. Tubes dirty mustard coloured to rusty. Pores small, rounded, mustard coloured. Smell not distinctive. Taste not distinctive. Spores 9–11.5 × 4–5 μm. Habitat. Alpine coniferous forests, but also under planted trees in parks and gardens, mycorrhizal with five-needle pines (Pinus cembra, P. sibirica, P. wallichiana). Distribution. 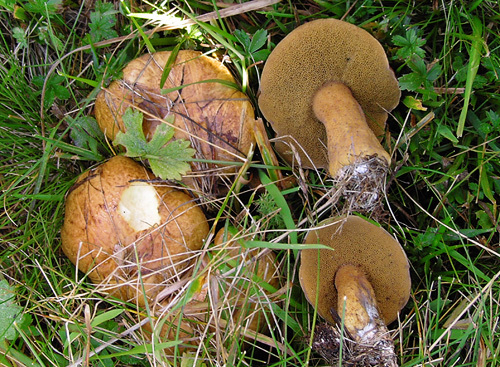 In Europe known mostly from the high mountains, where the mycorrhizal trees are present. Not yet seen in the Balkans, but it might be well present there under Macedonian pine (Pinus mugo). Similarity. 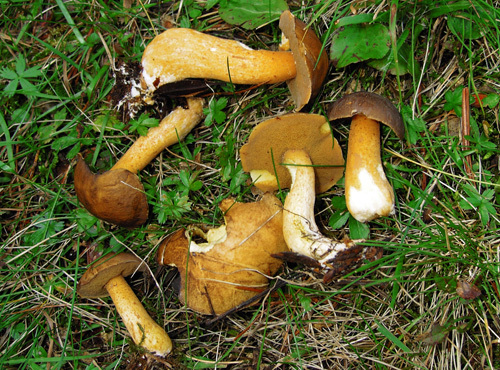 Might be probably confused with Suillus variegatus which has paler cap, stem without granular dots, and flesh that blues in the cap. In addition it grows under wider range of pines.